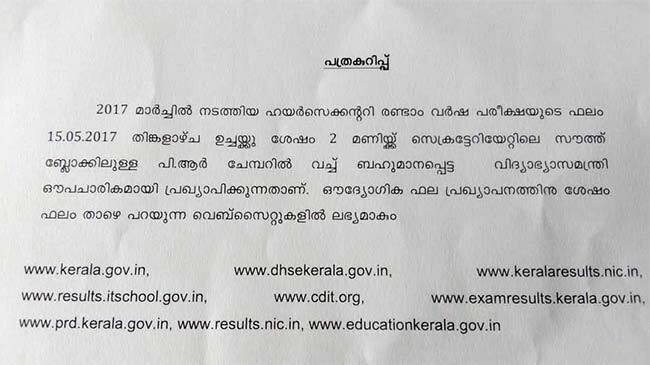 The Directorate of Higher Secondary Education (DHSE Kerala) will release the Class 12 (Plus Two) results on May 15, at 2 pm. 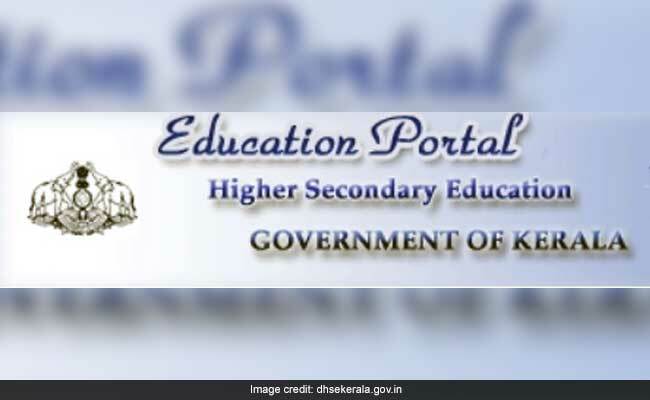 New Delhi: The Kerala Directorate of Higher Secondary Education (DHSE Kerala) will release the Kerala HSE, VHSE Class 12 (Plus Two) 2017 results on May 15 at 2 pm, ie, tomorrow. 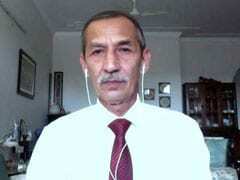 The Examination Pass Board meeting was held last week and the official date has been announced after that. The Plus two results will be announced by the Education Minister Prof. C. Raveendranath at the PR Chamber, South Block, Kerala Secretariat tomorrow. The class 12 exams were conducted across 2050 centres in Kerala, Mahe, Lakshadweep and the Gulf countries for 4,42,434 students from 8 March - 28 March. Kerala Education Department published the class 10 SSLC results on the first week of May. The Kerala education minister will also release the Vocational Higher Secondary Education class 12 results tomorrow. The students can also check their DHSE results on non-government websites like www.examresults.net/kerala/. Apart from these websites, the results will be able accessed through the Saphalam 2017 by the IT@school department of Kerala Government. However, the students and parents reported some snitches with the app when the SSLC results were declared.